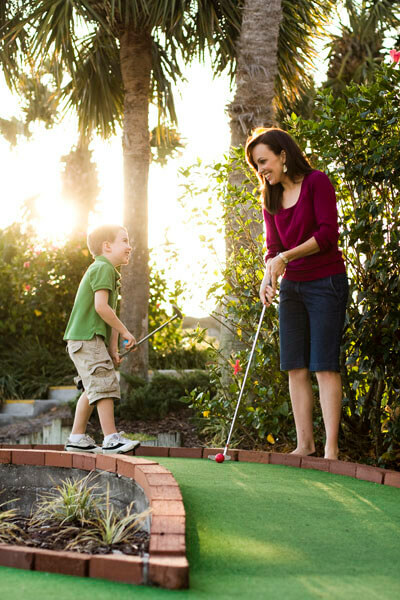 Our 18 holes of mini-golf can challenge even the most avid golfer. Designed to be a true miniaturized golf experience, our course offers undulating terrain, beautiful landscaping, and a natural pond complete with waterfall. Golfers of ALL ages will enjoy competing on each of the par 2 holes along the way. Note: Golf must be purchased 45 min prior to closing to allow for completion of course. Miniature golf tournaments make great fundraising opportunities for non-profits please call for more information.